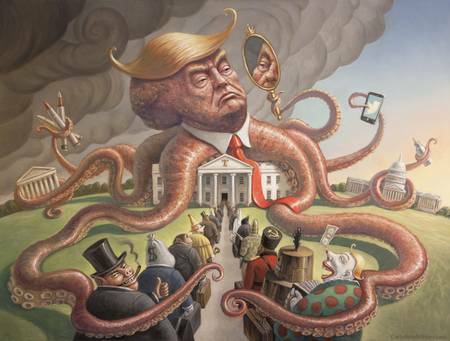 The Trump Kraken has been released onto the White House. Dark days loom. What and idiotic picture far from reality but seeing you are from California I should expect no different! Why don't you make one of Obama giving TERRORISTS BILLIONS OF DOLLARS? ?